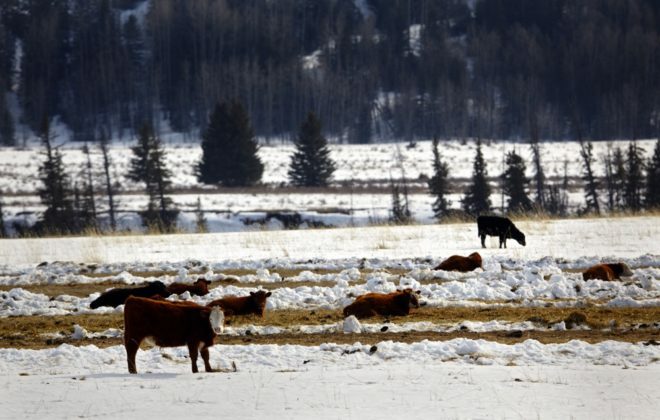 Mineral nutrition is a recurring theme in this column, attesting to the importance of this class of nutrients in the diets of cattle. I have not, however, paid as much attention to vitamins, which, when deficient, can be as limiting to performance and health as many minerals. With this article I would like to specifically look at vitamin E and its relationship with the mineral, selenium. Vitamin E is a member of a class known as the fat-soluble vitamins that includes vitamin A, D, E and K. There is also a second class known as the water-soluble vitamins which include the B vitamins (i.e. biotin, folic acid, niacin, thiamin, etc.). Both classes are essential for normal function in ruminants, however with cattle, particularly beef cattle, we generally only concern ourselves with the fat-soluble vitamins as in most production situations the rumen bacteria supplies the animal with an adequate source of the B vitamins as well as vitamin K.
Vitamin E is a generic term for a variety of compounds that have similar biologic activity. The most common and potent is alpha tocopherol. Vitamin E is found in relative high concentrations in fresh green forage with levels decreasing as plants mature and with storage (i.e. hay, silage). While vitamin E has many biological functions, two of the most important include its role as an antioxidant and in boosting the immune system. 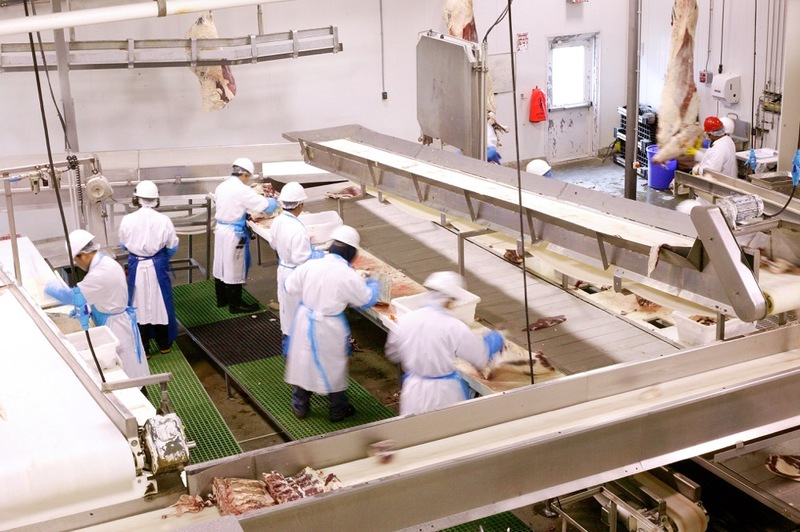 During normal metabolism, cattle produce byproducts that can be toxic to cells and tissues. These byproducts are oxygen-derived free radicals that damage cell membranes and impair cellular function. If left unchecked, these free radicals cause widespread tissue and cellular damage, particularly to muscle tissue. 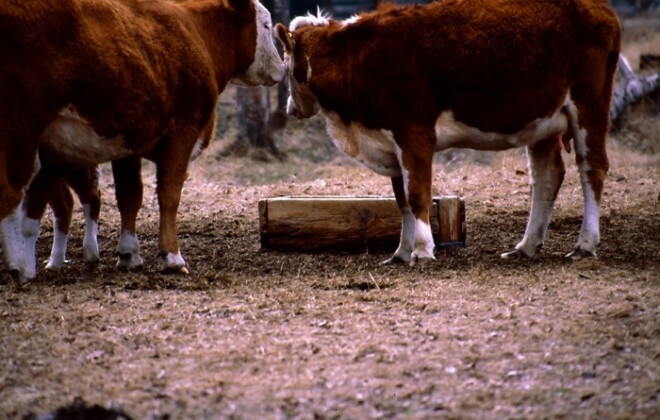 In the cattle, the best example of this damage is seen in calves with white muscle disease where calves fail to stand and nurse properly at birth or, in some cases, succumb to cardiac failure. The body has a number of natural defenses against these free radicals which act in concert to prevent the damage that is generated at a cellular level. Vitamin E is one of these defenses. It acts as an antioxidant and works to destroy the free radicals. Other antioxidant defenses include various enzymes such as glutathione peroxidase, as well as vitamin A and C. This is where the trace mineral selenium comes into the picture. Selenium is a component of numerous enzymes including the enzyme glutathione peroxidase which, as mentioned above, is an enzyme that works as an antioxidant in concert with vitamin E to protect the cell from oxidative damage. The antioxidant role of vitamin E and selenium extends to their role in fortifying the body’s immune system. By protecting against oxidative damage, vitamin E and selenium allow the various classes of immune cells (i.e. lymphocytes, other classes of white blood cells) to protect the body against invasive bacteria and pathogens. So how do we bring this discussion back to feeding cattle? 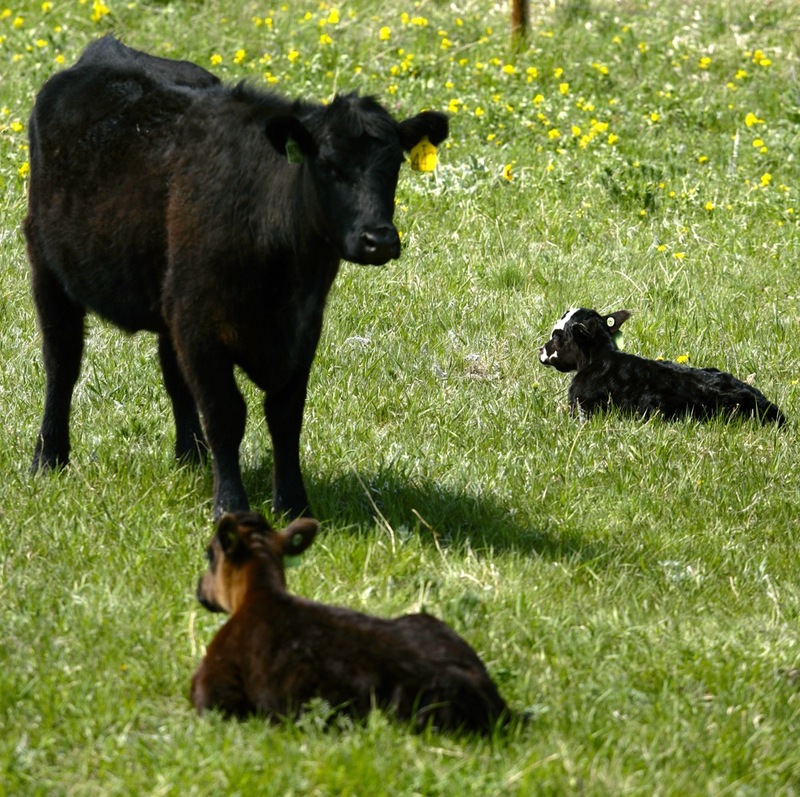 As described above, deficiencies in vitamin E and/or selenium can result in a number of issues related to normal growth as well as to the health of cattle, particularly newly weaned calves. Selenium deficiency in newborn calves can result in white muscle disease, as well as in retained placentas in newly calved cows. As selenium is a trace mineral, daily requirements are extremely low and listed as 0.1 parts per million in the 2016 Nutrient Requirements for Beef Cattle (NRBC) publication. 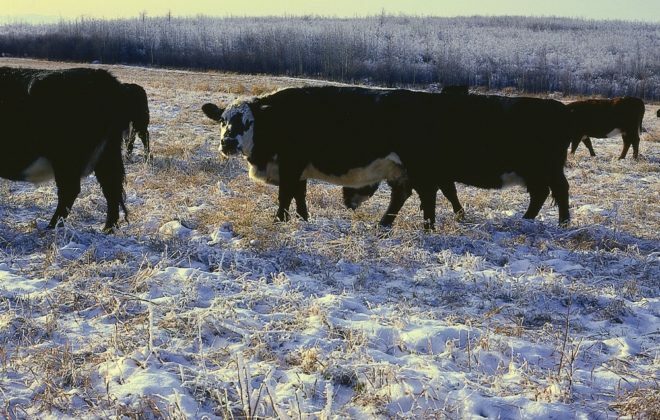 While this is an extremely small requirement, it is important to remember that many areas of North America have soils that are selenium deficient and if cattle are not supplemented, deficiencies can occur. 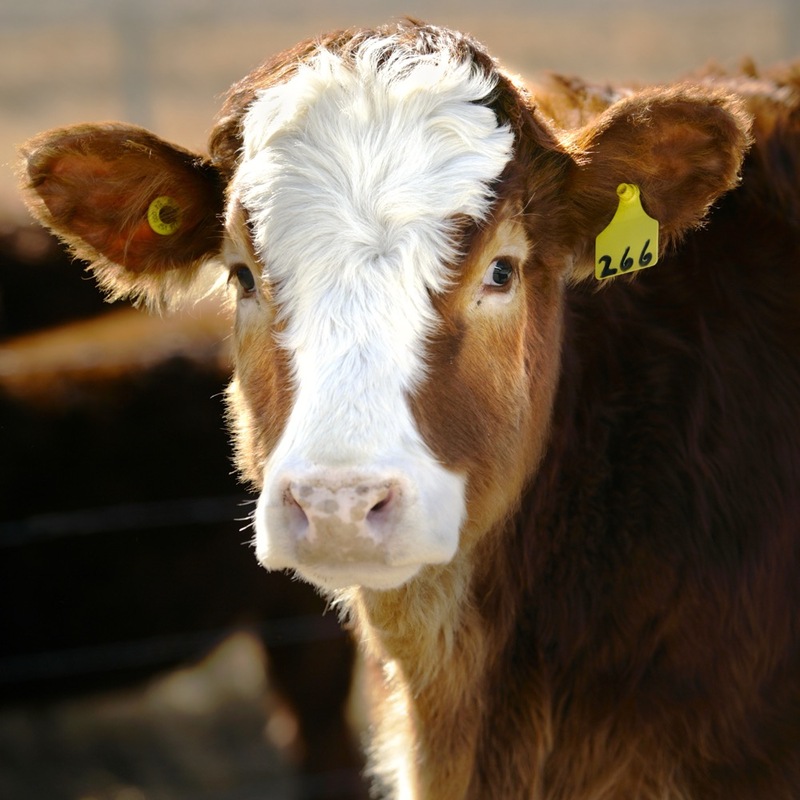 In contrast, clear signs of vitamin E deficiency are not as evident, particularly in mature cattle, although it does appear to play a role in increasing the incidence of retained placentas. As a result, there is no specific dietary requirement for mature cattle with normal diets supplying sufficient levels in most cases. However, the 2016 NRBC publication has increased the vitamin E requirement of stressed calves to 400 to 500 international units (IU) per head per day, or 80 IU per kilogram of dry matter (DM) for a calf eating six kilograms DM. For growing and finishing cattle, the vitamin E requirement is listed as 25 to 35 IU per kilogram of DM. 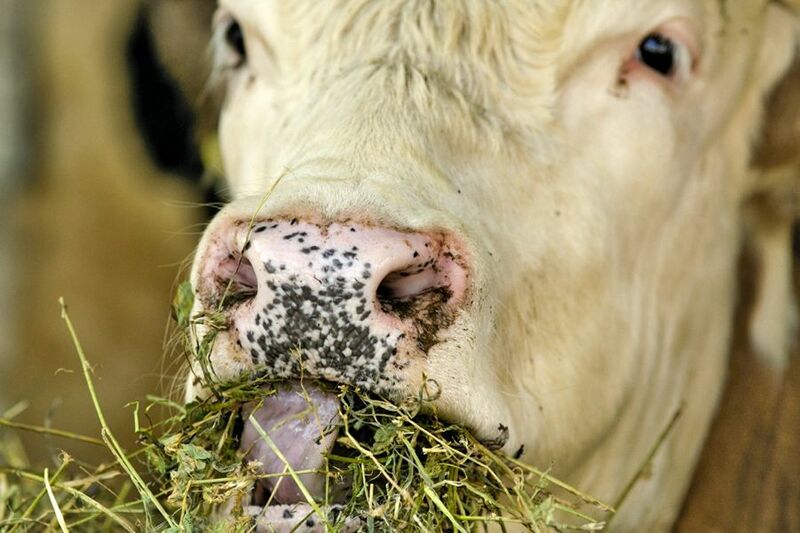 As stated above, cattle grazing fresh green forages are likely to receive adequate levels of vitamin E. If vitamin E is to be supplemented to the breeding herd, it is typically as a component of a concentrated A, D and E supplement fed daily or as part of the mineral program. Alternatively, since these vitamins are fat soluble and are stored in the body, they can be fed in a concentrated form every two to three weeks. 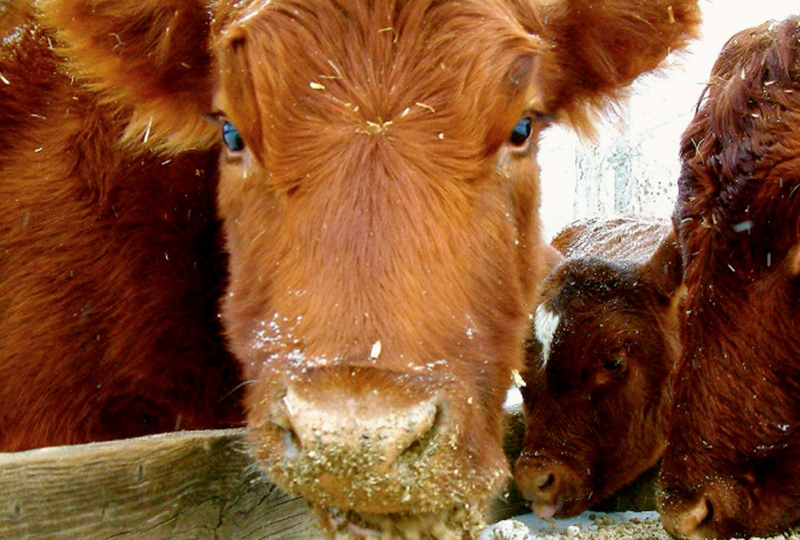 Supplementation of newly weaned calves and feeder cattle with vitamin E is typically part of the daily supplement program. Selenium, in contrast, is typically supplemented as part of the mineral program, either as loose mineral, tubs, blocks or various protein supplements. 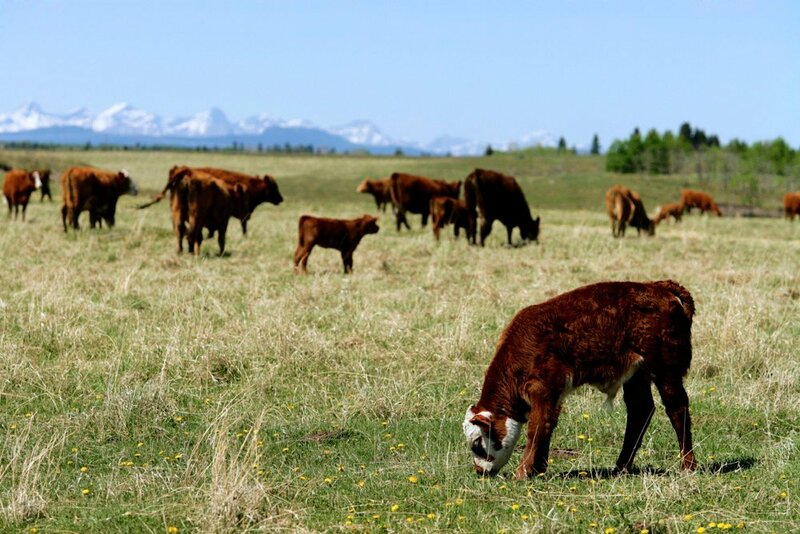 Regardless of the form of supplementation, both of these very different nutrients play important and synergistic roles in cattle growth and health and thus need to be considered when developing a feeding program.